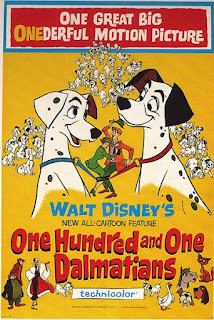 On January 25, 1961 Disney released 101 Dalmatians? The movie is based on the book of the same name written by English author Dodie Smith. Upon reading the novel, Walt Disney knew he wanted to do a movie based on the book, and acquired the rights in 1957, making Dodie's secret wish come true. 101 Dalmatians went on to be the 10th top grossing film of 1961. Lisa Davis first met Walt Disney when she came to America in the '50's to audition for the role of Alice in a live action version of Alice in Wonderland. Walt changed his mind, deciding to make an animated version instead, and she returned to her home in England. When casting for the role of Cruella De Vil, Walt thought she should sound like Zsa Zsa Gabor, he immediately thought of Davis, who did a great impression of the actress. Davis returned to the Disney Studios at the age of 21 to read for Cruella with Walt himself doing Anita's lines. She was struggling with the lines, and thought to herself 'I am totally wrong for this part. How do I tell the great Walt Disney he's made a mistake and he's got me in for the wrong part?' Finally she worked up the courage and asked 'Excuse me Sir? Do you think I could try Anita?' So Walt read Cruella, and Davis read Anita and got the part. There is a great interview with Davis about her role as Anita on Ultimate Disney. You may recognize a couple of other voice actors from the movie. Ben Wright, who was the voice of Roger Radcliff, also voiced Grimsby in The Little Mermaid and Mowgli's wolf father, Rama, in The Jungle Book. 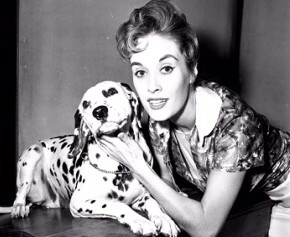 Betty Lou Gerson, who ultimately voiced Cruella De Vil, was narrated Disney's Cinderella. Maybe it's time to get out the 101 Dalmatians and watch it again. We love 101 Dalmatians and watch it at least once a month! It is such a fun story. By the way, I love your "Did You Know . . . " posts! Thanks Beth!! I have wanted to incorporate some Disney History into my blog for a while. I figured the first of the year was as good a time as any.